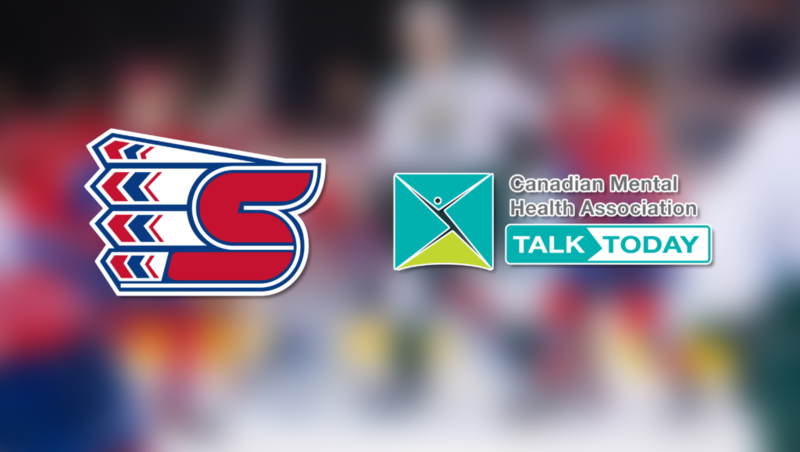 SPOKANE, Wash. — The Talk Today campaign is back for the second season as the Spokane Chiefs look to raise awareness in regards to proper mental health maintenance. The Chiefs will celebrate Mental Health Night at the Arena when they take on the Red Deer Rebels on Tuesday, February 12. The Talk Today event aims to combat stigma by starting a conversation around mental health and encouraging young people to seek help when they need it. The awareness campaign is part of the ongoing commitment by the Chiefs, Canadian Mental Health Association and the Canadian Hockey League to provide mental health support to players and raises awareness about mental health and suicide prevention throughout communities across the Western Hockey League. A key piece of the Talk Today program has been to educate players about mental health and suicide prevention. Every team, including the Chiefs, has received mental health training specific to suicide prevention. Each team is also now linked to a CMHA Mental Health Coach, who provides support and mental health resources to individuals in need. Read more about Talk Today at www.cmha.ca. Use the hashtag #TalkToday on social media to share your story.